Bob Garon of Ebson, N.H. is a veteran of the Vietnam War. He also happens to be gay. 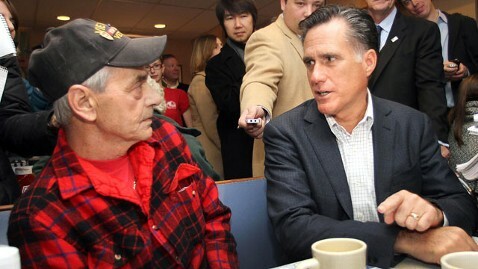 Garon had an opportunity to ask Mitt Romney a question when Mitt sat down at his table during a campaign stop at a local restaurant. Mitt had no idea what he was in for.